Which is Better – BevMo or Total Wine? I shopped at both BevMo and Total Wine to see which store offers the best experience for bargain wine consumers. Here is what I found. I have been to both stores on several occasions. I have been to BevMo many more times than Total Wine, because BevMo has been around for years. 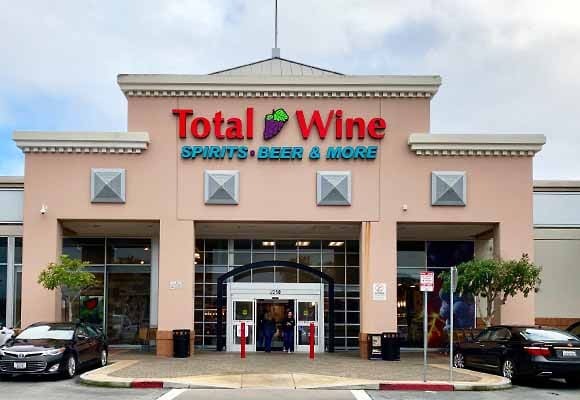 Total Wine opened their San Mateo store in 2018. I usually shop in the mornings and during the week to avoid the crowds. The service edge goes to Total Wine. They seem to have more people working and often ask if they can be of help. They do not always have the right answers but, indeed, they try. At BevMo I am less likely to get any help as I roam the aisles. I might see two people in the Burlingame store, one at the checkout counter and the other stocking shelves. No question on answering which store has the biggest inventory. Total Wine has many more choices of wines in all areas. The Cabernet Sauvignon section at Total Wine is very extensive. The same goes for Chardonnay choices. It seems that Total Wine knows that these two varieties are the most popular among wine shoppers. Both BevMo and Total Wine have excellent online shopping with the ability to filter down by country, varietal, and price. Many folks shop online and then travel to the store for pickup. BevMo and Total Wine have many different wine brands that are puzzling. They are wines that I’m unfamiliar with. Using Wine-Searcher.com, many of these obscure brands are not sold outside of the individual BevMo or Total Wine. For example, BevMo has Unruly wines of all types. Do you ever see Unruly wine in any other wine shop or supermarket? Total Wine has something similar. Cloud Break Pinot Noir. Only Total Wine carries this brand as far as I can tell. Has the Wine Spectator or Wine Enthusiast ever listed these wines? I decided the best way to do a comparison of prices is on big brand wines or National Brands. These wines are mass produced and found in many stores including supermarkets, Costco, and Trader Joe’s. I did a head-to-head comparison of 12 big brand wines sold at both BevMo and Total Wine. Which shopping cart, BevMo or Total Wine will cost less? The Wines – Price on the left is BevMo, on the right, Total Wine. The BevMo basket is $205.88. The Total Wine basket is $161.12. These are prices for one bottle and not mix-or-match six packs. BevMo must make a very decent profit on all the wines you see up front in the middle of the store. There are numerous displays of wines on sale or part of the 5 Cent Sale. You get one bottle at the regular price and when you buy a second, you get it for 5 Cents. It sounds too incredible to be true. SFGate wrote this article on BevMo 5 Cent Sale. While Total Wines does not have a 5 cent sale, they have plenty of wines with low prices. You cannot compare prices because they are not found in other stores. As far as quality, one must buy and taste to judge. No critic recommendations or scores on what I call mystery wines. A big selling point at Total Wine is the Winery Direct Wines. These wines, according to the wine steward, cut out the middleman. Therefore, a better price for the consumer. Not so fast. One of my favorite Best Buy wines is Sobon Rocky Top Zinfandel. I can buy Rocky Top at Mollie Stone’s or Nob Hill, and sometimes at Draeger’s Market for around $14 to $16. The Winery Direct price at Total Wine for Rocky Top is $19.99 for a single bottle and $17.99 if you mix six wines. It feels like Winery Direct Wines are a good deal for Total Wines. Total Wine on big brands offers the better wine deal between the two stores. Total Wine has more wines and a better selection of imports than BevMo. On mystery wines, who knows? Shop online and check Wine-Searcher for tasting notes and prices before you buy. Total Wine has just moved into Pasadena. 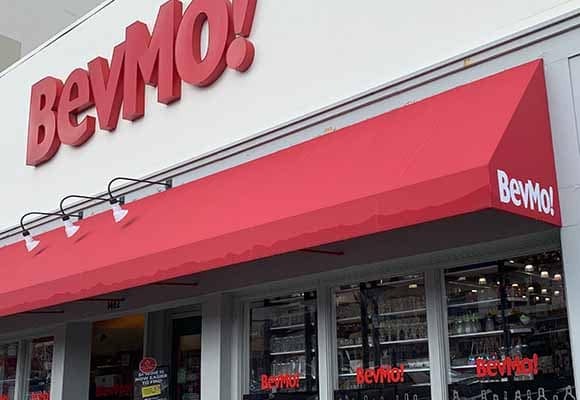 BevMo has been here a long time. Both stores are clean, but Total Wine has a sharper look when it comes to store design and display. More upscale, to use a word I normally don’t care for! I think many of the unknown labels are contract wines made only for the retailer- which are used often as leaders to get people in the store . They also provide more income because they control all aspects of production. I hate the way BevMo manipulates pricing. Have tried to buy a wine with a shelf price they would not honor. Thanks for doing the leg work in this comparison. I have found all of what you are stating to be true in my experience. As a result, I seldom shop at BevMo any more. Except for the purchase and consumption of Sobon wines… (The Rocky Top ‘was’ a favorite of mine 20 years ago, but like most of the ‘older’ Amador vineyards, the ‘quality’ is not what I would desire today, now that I have attained ‘snob’ level). I have something in the works with Trader Joe’s and a couple of other stores in comparing wine prices. That’s down the road some. I buy the Rocky Top at a local, independent shop for $13.99 and get a 15% discount on a mix-and-match purchase of 12 bottles. The same wine merchant has a really good Rioja for $9.99. That goes for $16.49 at Total Wine ($14.84 with Total’s 6 bottle discount). A favorite red from Puglia is $10.99 before the independent shop’s 15% discount, while the same bottle at Total is $12.99 ($11.69 on 6). I’d rather keep independent stores in business and support the little guy rather than fall prey to some big, impersonal chain filled with profitable “traps.” By the way, Tour de Bonnet is a second label and Total sells it for the same price one might pay for their first label. The little independent store features a stellar Entre deux Mers for $11.99 and a wonderful Sauvignon from a top Loire winery for $12.99.